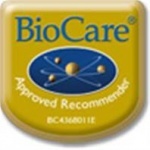 A short chain fatty acid essential in maintaining the integrity of the gastrointestinal wall. Butyric acid is a short chain fatty acid produced as the result of the bacterial breakdown of dietary fibre. It feeds the epithelial mucosa cells lining the gut wall and is essential in maintaining the integrity of the gastrointestinal wall. Butyric acid is the natural end result of the bacterial breakdown of fibres from whole foods, such as fruit and vegetables. 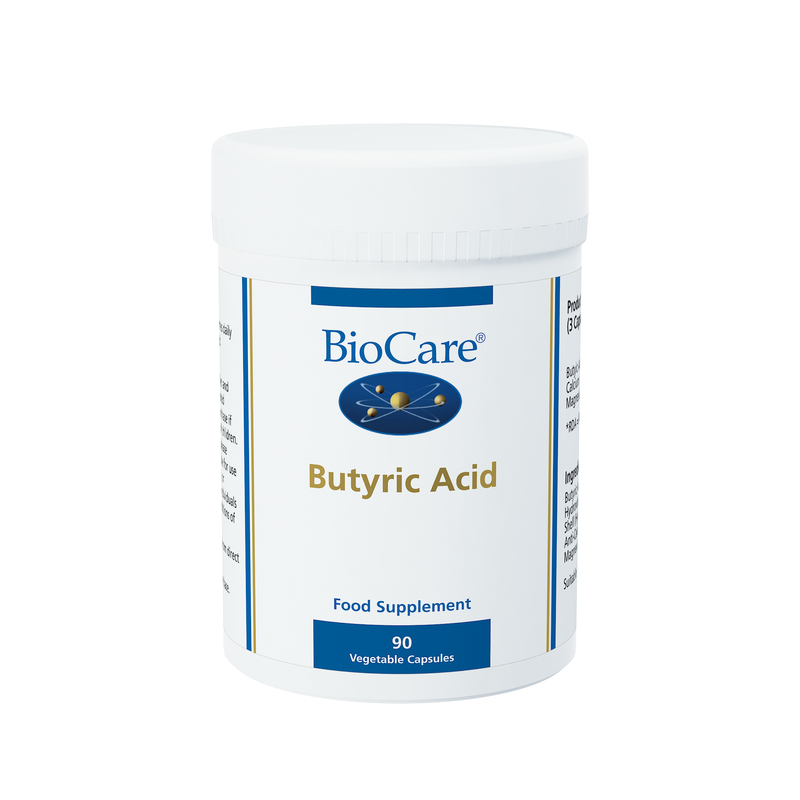 Butyric acid feeds the cells of the intestinal lining and is essential in maintaining the integrity of the gastro-intestinal wall. Butyric acid helps L.acidophilus and B.bifidumad here to gut epithelial tissue. Butyric acid helps to increase the natural healing mechanism of the gut tissue after antifungal treatment for Candida. Butyric acid has a normalising effect upon the production of ‘on site’ enzymes and has a supportive role upon intestinal immune resistance. .Dr Robert Erdmann states in his book "The Amino Revolution" that it is used by many people as a pick-me-up, and to treat hypoglycaemia and reduce cravings for alcohol and sweets. L-Methionine is a sulfur-containing amino acid with antioxidant properties. Methionine is the precursor to cysteine. Methionine is essential to help support growth and development. It is required for protein synthesis and in liver detoxification pathways. L-Glutathione is a natural sulphur-containing peptide formed by linking three amino acids: Glutamic acid, cysteine and Glycine. It acts in antioxidant and detoxification systems and is also involved in helping amino acid transport across cell membranes. L-Phenylalanine helps produce neurotransmitters, the brain's chemical messengers. It is a precursor to tyrosine which is used to manufacture certain hormones, including adrenalin (epinephrine), noradrenalin (norapinephrine), L-dopa, and dopamine. It is also a precursor to tyrosine. Butyric Acid, Calcium Hydroxide, Magnesium Hydroxide, Medium Chain Triglycerides, Capsule Shell (Hydroxypropyl methylcellulose), Anti-Caking Agents (Silicon dioxide & Magnesium Stearate).